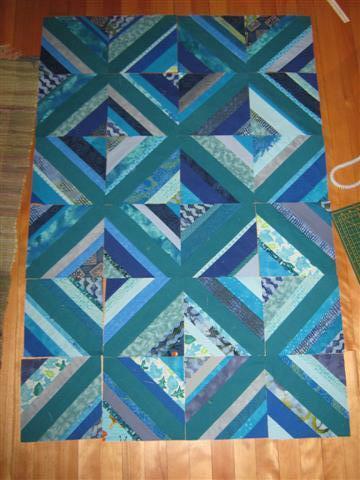 TheCuttingEdgeQuilt: Progress and What the HECK?? Progress and What the HECK?? 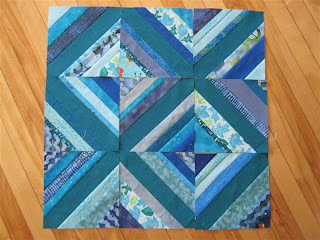 I've made a bit of progress on my Blue String Quilt QUiP! Originally, I had only 9 blocks done, now I'm up to 24 and it's starting to take shape. I like it! 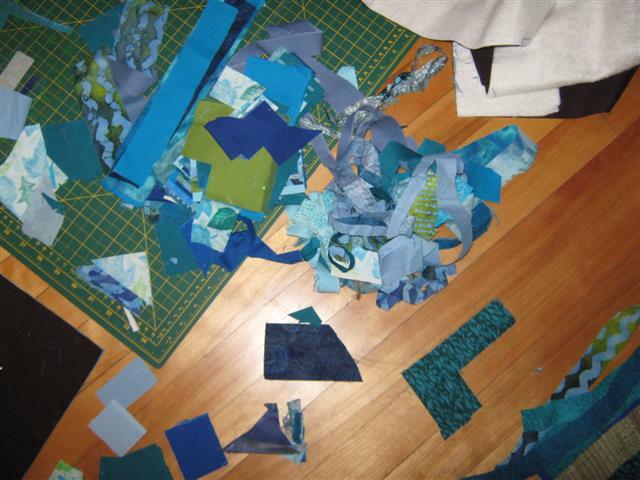 Of course, this scrap-using project is producing new, smaller scraps. Sigh. I just can't bear to throw fabric out if it's wider than 1/2" in at least one direction. So I started a new project and that's taking on a life of its own, literally! I'm admit I'm kind of scared of where this is going. What I did was layer brown cotton with batting and light blue cotton. I didn't even tape it to the floor, just smoothed it out and pin-basted it. Then I laid out blue scraps in random arrangements on the brown side until I was happy with the layout. 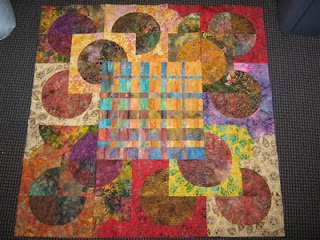 Pinned those down and started free-motion quilting about 1/4" inside each shape, somewhat like the Ticker Tape quilts that have been going around blog land. 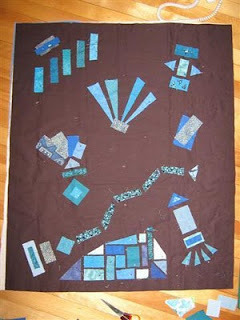 I thought it'd just be an artsy baby quilt, but like I said, it's starting to grow out of proportion . 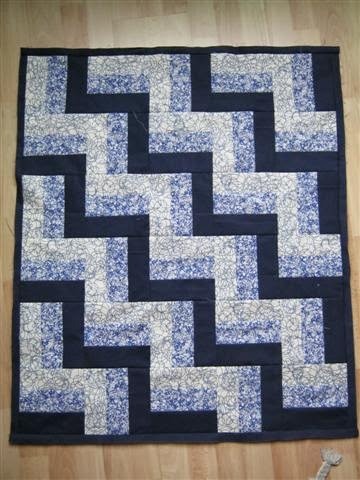 Because I started quilting, without a plan. This is like doodling on a sewing machine. Things just happen, my hands just move, my brain just comes up with ideas. Here's how far I've gotton. I started with an eye in the center, then I tried to remember some quilting I'd seen on Diane Gaudinsky's blog, but I was too lazy to turn on the computer, so I tried to do some stuff from memory. 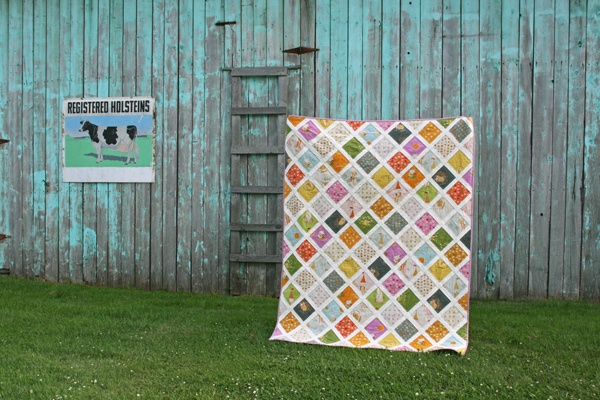 There's a bit of Diane-Shiko to be glimpsed on the right edge of the quilt. Next, my hands wanted to do a double feather, with two rows of feathers along the shaft. Okay. 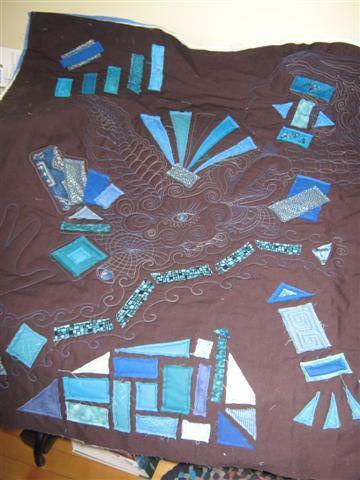 I also wanted to leave my mark on this quilt, so I outlined my hand, not sure what I'll quilt inside it yet. I'm considering doing the actual lines on my finger prints etc. That wasn't enough though, so in the setting sun, I outlined the shadow of my face on a piece of paper taped to the wall and quilted that with some wild and flowing hair in the top right corner. Once the quilt is done, I'll show you some detail shots. I just took the photo above quickly the other night to have a record of this quilt before it totally gets out of hand. 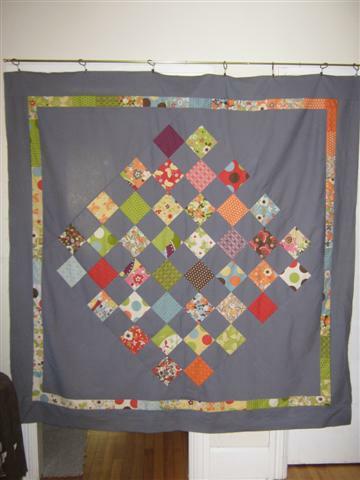 It now has enough quilting on it to classify as wall-hanging, since it's getting too stiff for a quilt. Who knows where this is going next... I'll be as surprised as you, that's for sure. It feels strange when a project gets a life of its own like this. Next, my quilts will grow legs and take over the world, uhoh! Very Cool Christine!! This reminds me of my friend Joan's Zendoodles. Here is a link, she does such awesome quilting.